Welcome to our Clearance Flies section here at MRFC where you'll find discount flies at prices too good to pass up. 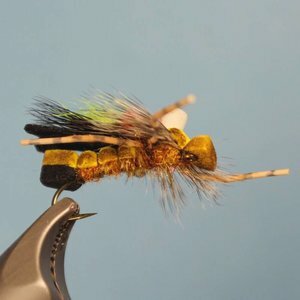 The reality here is that we have a massive selection and quantity of fly patterns in our fly shop at all times and we naturally have to thin them out from time to time. All of our staff and guides provide input on which flies to buy each year and we don't buy a single pattern without the belief that they are well tied effective patterns. Simply put, there's no better place to confidently stock your box with high quality flies without breaking the bank than MRFC. Our loss is your gain. Enjoy! Yuk Bug, Blow-Out Price! 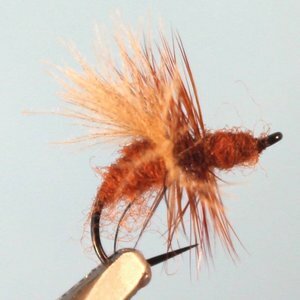 A classic that fishes well as a streamer or a nymph. Imitates stonefly nymphs. crayfish and small sculpin. Carp, trout and bass love them. Flash Fry Olive #6, BLOW-OUT PRICE! An awesome spring fly for river mouths and along the ledges of shallow gravel bars. 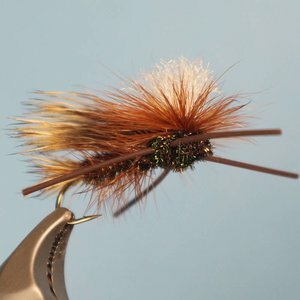 Mini Loop Sculpin - Natural #6, BLOW-OUT SAVINGS! 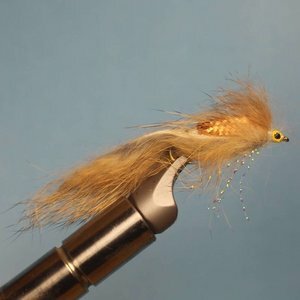 A deadly sculpin pattern for Montana rivers, so it will likely work on your home water as well. Flash can be easily removed for a more natural look. Poxyback Micro Stone - Dark #14, BLOW-OUT SAVINGS! 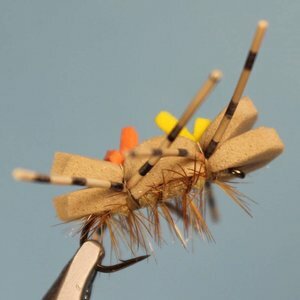 , A great all-around pattern for trout just about anywhere and a deadly pattern for grayling in Alaska. 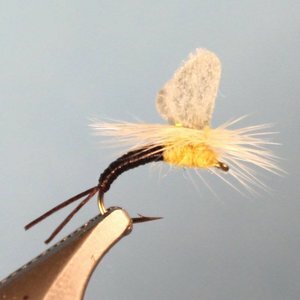 Post Hopper - Tan #12, CLOSE-OUT PRICE! The sculptured body of the Post Hopper, and rubber legs, imitates the natural silhouette and bulk of a natural hopper. It floats well and requires very little maintenance. 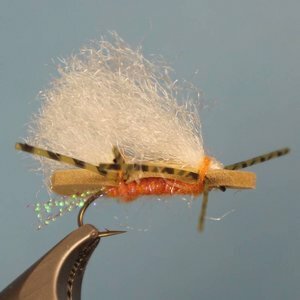 CDC Fly Ant - Red #14, CLOSE-OUT PRICE! 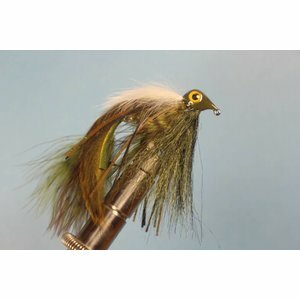 A Rene Harrop pattern that works great when flying ants hit the water starting in mid-summer. 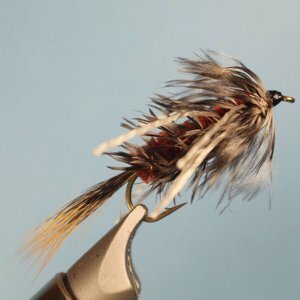 Etha Wing Emerger - PMD #14, CLEARANCE! 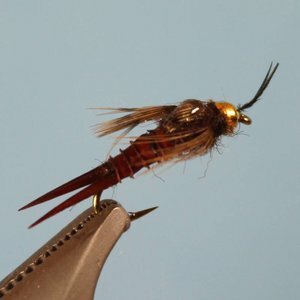 The Etha Wing Pale Morning Dun Emerger can be fished with floatant applied only to the wings. Inverted Zonker, CLOSE-OUT PRICE! The venerable Zonker, inverted! Rabbit tied under the hook for even more life-like action! BH SF Copper Nymph, BLOW-OUT SAVINGS! This universal copper body bead head pattern gets down quick. 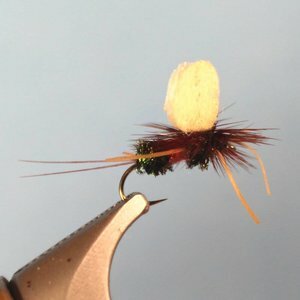 A great fast water nymph pattern. Gould's Half Down Hopper, BLOW-OUT SAVINGS! A standard hopper pattern in late Summer on the Madison. Fished with a dropper beadhead pattern 4 to 6 feet below is a killer combination. Damian's UV Stone, CLEARANCE PRICE! Colorful, durable and effective! The rubber legs provide good movement and the foam provides great floating while the yellow foam on top provides visibility. Nocturnal Stone, BLOW-OUT PRICE! Nocturnal stoneflys are an integral part of trouts diet, especially in Montana streams such as the Madison, Big Hole, Ruby and the Beaverhead. This is one of our favorites. Parachute Madam X, CLEARANCE PRICES! 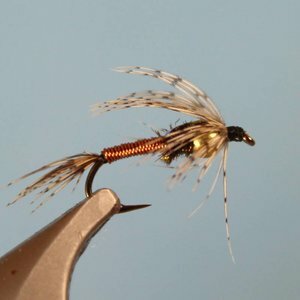 An immensely popular pattern that is used for stonefly hatches as well as hopper fishing. Great movement in the water. Royal Wulff Poly Wing, CLOSE-OUT SAVINGS! A variation of the classic Wulff series. Tied with an etha wing parachute for great visibility. Delektable Double Screamer, BLOW-OUT SAVINGS! A great pattern from Dan Delekta. The Double Screamer is one of those articulated streamers that seems to work wherever you take it. Double Bunny, BLOW-OUT SAVINGS! a tried and true big fish producer originally from the vise of Scott Sanchez. A great Montana pattern! Whammy Tomahawk, CLEARANCE! Not for the faint of heart. This is a big fish pattern, no mistake. It is a sculpin imitation. If sculpin gets into heavy current, they are vulnerable to big rainbows and browns. 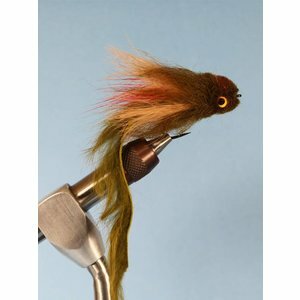 Mini Sculpin, an effective weighted streamer to imitate trout's favorite food. Available at Blow-Out Prices! Chubby Chernobyl, Great versions and variants of some of the most popular Montana patterns. Available at unbelievable savings! Act Fast! 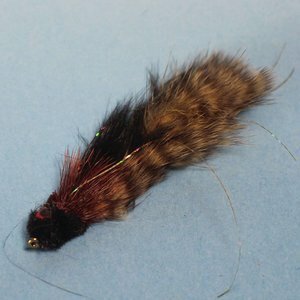 Sculpin Leech, heavily weight ed sculpin imitation. Big flies down deep for big fish! Available at Blow-Out savings! 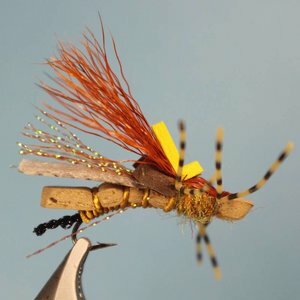 Big Gulp Streamer, big flies for big fish! This great pattern is available at Blow-Out Savings! Designed by Russ Madden, the Mad Pup is in a league of it’s own. Fishes well as a whitefish, trout or sculpin imitation. Available at BLOW-OUT SAVINGS! A versatile streamer that works well on bass and trout. Available at Blow-Out Savings! Swing 'em or drift 'em in different sizes...they work.